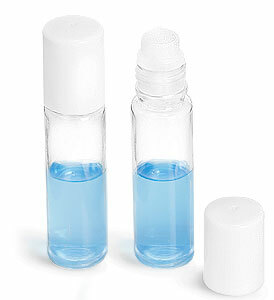 The Clear PET mini plastic vials with fitments, balls and white caps could be the perfect package to sample your product, or for a convenient travel sized product. The clear PET plastic is a common alternative to glass and the roll on feature could be used for many applications. It is recommended to test your product for compatibility.